It seems it was just yesterday when Samsung introduced the Galaxy S III - a slim device with cutting-edge capabilities that instantly became the number 1 wish of every geek. It became one of our favorite Android smartphones as well - giving it a rating of 9.3 out of 10, we unequivocally showed that Samsung had created one of the best smartphones money can buy. But the technological progress never stops, especially if we're dealing with mobile technology these days (which we do). In just half a year, we've seen significant improvement in various areas like screen resolutions, chipset performance, power management techniques and so on and so forth. With that in mind, we can't overlook the fact that we're starting to hear more and more rumors about the expected fourth generation of the Galaxy S series and the lovely goodies it'll reportedly sport. 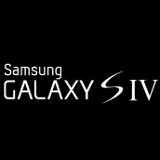 In fact, we've been getting Galaxy S IV-related info for quite a while now, but it wasn't until October that the rumors that reached us started to gain some substance. Of course, it'd still be an overstatement to say that we now know quite a bit about what is already one of the most-anticipated smartphones of 2013, but we can't deny it - some of the gossip sure does make some sense. What you'll find below are the more "substantial" rumors about the Galaxy S IV that have surfaced until now, hand-picked by yours truly. Once you've read them all, you'll be as knowledgeable as one can be about the S IV this early, and you'll be able to prove it to your buddies that despite what they've seen in that perfectly authentic YouTube video, the Galaxy S IV will not have a hologram projector. Dec 17, 2012, 9:18 AM, by Victor H.
Dec 13, 2012, 4:11 PM, by Michael H.
Dec 06, 2012, 4:01 AM, by Ray S.
Nov 20, 2012, 10:43 PM, by Alan F.
Nov 16, 2012, 2:55 AM, by Daniel P.
Oct 29, 2012, 7:55 AM, by Victor H.
Oct 04, 2012, 3:15 AM, by Victor H.
I think I'll have to pass on the S4 and wait for the Note 3! where u from dude, outerspace??? 21 mpx camera with xenon flash this time! If I had something like the S3, I'd skip the S4 anyway, since I won't feel so much "improvement" until probably S5. True, me having an S2 is perfect for me to upgrade. I personally love the Galaxy S series, since I already got the S2, the S3 was too soon to upgrade, so I'll wait for the S4 to get released. The word "rumor" is in the title, yet there are no rumors about it just peachy! I'm passing on for something better. Maybe True Maybe Not . The probability of me getting the s4 come this summer is already damn high. . . If its a 5" phone I'll pass. Agreed. These super massive giganto screens are outrageous. The Galaxy S line needs to have screens obviously smaller than the Note line. Why is it such a problem to have a 4.3-4.5" screen? You do know they made a Galaxy S3 mini right? lol Search for it. Maybe it's not available in your country. First of all I live in Texas. Second, the S3 mini has mini specs along with the screen size. They need to make a 4.3 or 4.5 inch phone with flagship phone specs. We don't need these massive HD screens. Just find a way to jack up the PPI to retina or better levels and call it a day. Not only will that solve the problem it will also use less battery life. Got me 600 bucks in the hush fund already. Bring it on! I'm trying to hold out for the sgs4.